If you’re looking to kit up your Nikon Z6 Camera (Amazon, B&H) for video work, then this article will give you an idea of the costs involved. Let’s get started! *I got a 32GB XQD card and reader free with the camera as part of the India promotion. You might have different offers, or none! Nikon also sells the camera in a few basic kits. Buying a kit (if you need all of the items in it) might be cheaper. **Important: The prices might be totally inaccurate or wrong. Please refer to manufacturer’s website for details. Also, the price might be different depending on which country or region you’re in. I’ve written an entire article on the best lenses for the Nikon Z6 for video. Check it out. *You can choose between one of these primes instead of both. ^The FTZ Adapter (Amazon, B&H) costs $246.95 even as part of the kit. ^This plate allows you to keep the camera level along with the FTZ adapter. I also use adhesive shims to make up a few millimeters if I have to. *I like buying accessories that will survive more than one camera. E.g., better to get a universal cage that will last you many cameras. What about audio? The audio recording on the Nikon Z6 Camera (Amazon, B&H) is okay for vlogging or basic video, but definitely unusable for professional filmmaking. You will need a recorder, and of course, microphones, etc. I am not including that in this list but it’s something to seriously consider as well. $6,476 for just the basics w/lens. Obviously this is just an indicative list. Based on the lens choices the total will vary greatly. Also, with the newly announced Atomos Shogun 7 you be raising the bar even more. And let’s not forget simple accessories like lens cleaners, filters, bags, audio, etc. 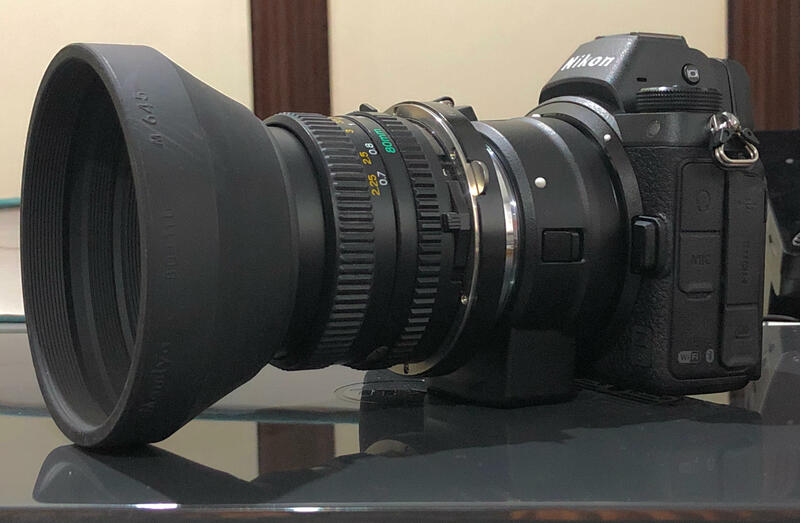 I hope this article helps you understand the costs involved in setting up a Nikon Z6 (Amazon, B&H) for cinematography and professional filmmaking. What do you think? If you know of any cool accessories please let me know in the comments below. I am wondering if you have any footage you shot with your settings on Z6 to show. Is Zhiyun a Wolfcrow sponsor? No, troll. Should I have suggested your favorite company instead even though I don’t think it’s good? I have claimed no favorites nor am I trolling. I am looking to establish transparency and ascertain reasons (at least summaries) for your stated choice of gimbals. There’s no need to resort to name-calling here. I would personally pick the Zhiyun Crane 2 over it, so unless you specifically need exactly everything in the kit I think it’s not worth it.